Nowadays many people see consanguineous (blood-related) couples as a taboo. It is illegal in many countries to marry close relatives or first degree family members, but marriage within cousins, second cousins, extended family etc, are common in many cultures. The most argued reason why consanguineous marriage should not be allowed has being the clinical consequences to the offspring. People relate this type of unions to disease and malformations, but they are misinformed about the topic. 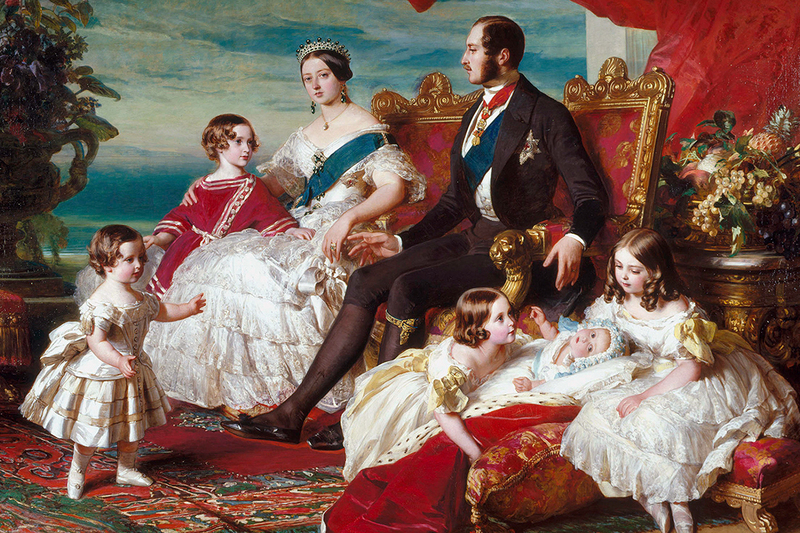 Queen Victoria and Prince Albert (cousins) and 5 of their 9 children. Articles on human genetics note that people from a recent common ancestor have the same genetic pool, meaning that they might posses more equal genes or share genetic information. Disease, morbidity, and mortality usually come from recessive genes. With consanguineous couples there is more chances of their children being homozygous on recessive genes, or the probability of occurrence of certain genotypes is increased. Genetic counseling is very helpful to evaluate and understand the risks of medical conditions that might be caused in a blood-related union. We all carry recessive genes and are all at risk of having children with certain diseases. Ultimately what matters the most is the well being of your offspring; if there isn't any risk, then nothing should stop you from marrying your cousin.